Network testing, certification, monitoring and analysis solutions. Bresimar is an authorised distributor of Fluke Networks, a strategic partnership the company has established to meet the needs of its clients and partners in solving problems with industrial networks and communications. Fluke Networks is a globally recognised brand of copper, fibre optic network installation, certification, testing, monitoring and analysis solutions, with extensive experience and a network of distributors and service points worldwide. The range of products offered by this brand fulfils market needs and requirements, guaranteeing that telecommunications companies and professionals have access to a wide range of solutions essential in the sector, such as: devices for cable certification, fibre inspection and cleaning, power meters, insertion and termination tools, as well as fault locators and certifiers. Fluke Networks provides high-performance, reliable copper cable certification solutions that are useful for network installation and testing. Fibre Cable Certification brings together a set of user-friendly, precise and durable, widely used solutions for testing the quality, availability, performance and certification of fibre networks. The Versiv cable certification system supports certification of copper cables, fibre loss, OTDR testing and hardware upgrades. 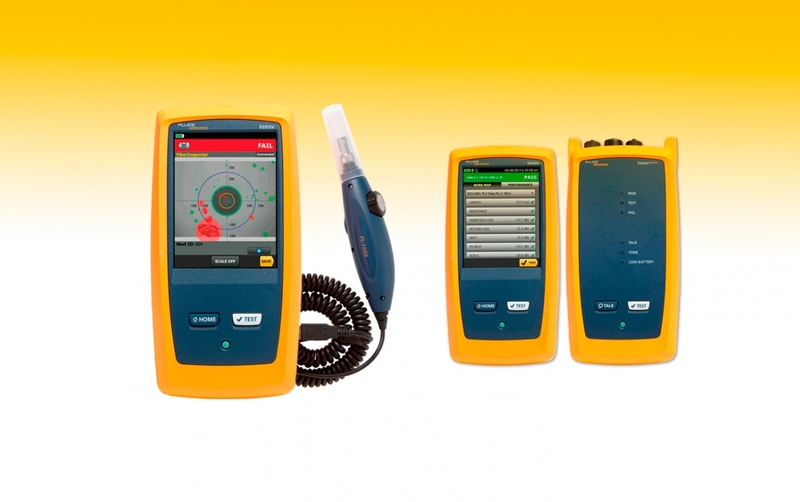 Fluke Networks' fibre inspection and cleaning solutions ensure the inspection and cleaning of the fibre optic network, ensuring the correct passage of light and consequent loss reduction. 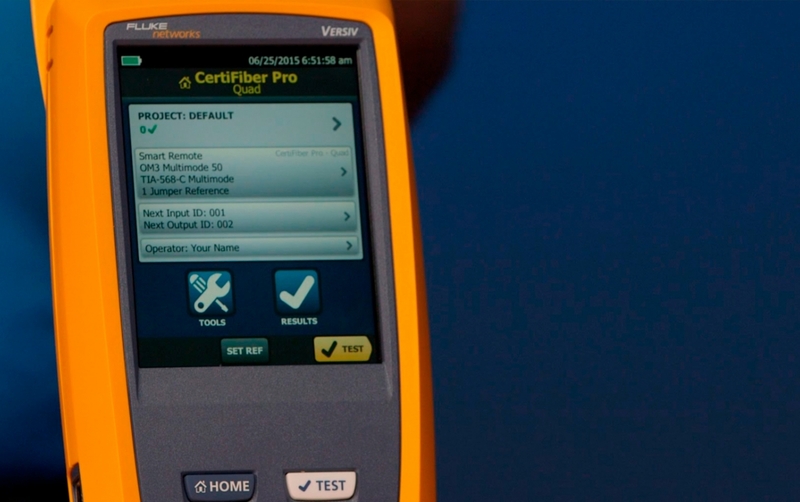 Fluke Networks has a wide range of fibre optic test products to help ensure that losses are within standards and to troubleshoot broken links with high loss of single-mode and multimode fibre. Copper cable testing tools and tone generators are key solutions for installing copper cable systems and locating faults quickly, in order to avoid wasted resources and lost revenue. 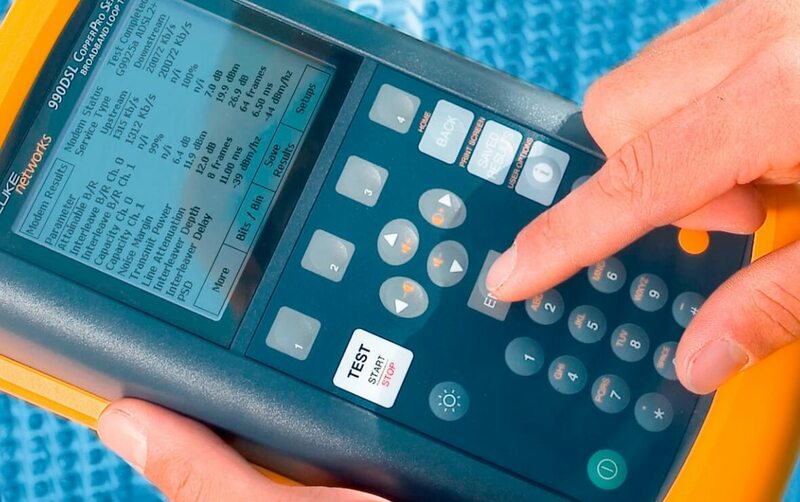 The insertion and termination tools include all the necessary tools and utensils for the installation, certification, testing, monitoring and analysis of networks.